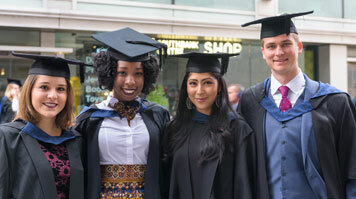 LSBU holds two ceremonies per day for the School of Health and Social Care, one at 11am and one at 3pm. The timing of graduation depends on the course of study. The graduation course list and timings for the School of Health and Social Care to be held on Monday 4th November 2019 will be advertised very soon. Meanwhile, if you are a School of Health and Social Care graduate, please reserve this date in your diary!